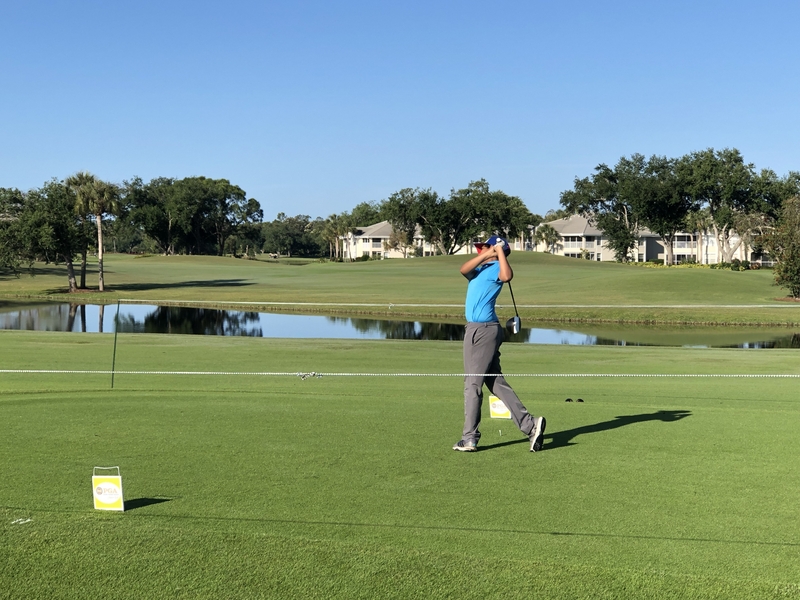 Naples, Fla. – Today, the South Florida PGA Junior Prep Tour presented by The Honda Classic held the third Prep Tour Event of the 2019 season at Vineyards Club. This event featured a full field of 78 players aging from 9-18 years old. The course was in phenomenal condition and the weather could not have been better. Sarp Gurdogan of Palm Beach Gardens captured the boy’s 9-10 age division shooting a round of 7-over par, 79. Key Biscayne native Borja Friend was runner-up in the boy’s 9-10 age division with a round of 13-over par, 85. Oscar Crowe of Boca Raton took home the boy’s 11-12 age division with a round of 1-under par, 71. West Palm Beach native Haris Khan finished runner-up in the boy’s 11-12 age division after a round of 3-over par, 75. Bennett Stone of West Palm Beach captured the boy’s 13-18 age division with a round of 2-over par, 74. Tequesta native Dalton Moore took home the runner-up spot in the boy’s 13-18 age division with a round of 3-over par, 75. Fernanda Carrion of Coral Gables captured the girls 9-10 age division for the second time this year shooting an 80. Palm Beach Gardens native Marley Pedrique was runner-up in the girls 9-10 age division with a round of 83, her second runner-up finish this year. Annika Kohoutkova of Naples took home the girls 11-12 age division after a round of 79. Palm City native Abigail Halpern finished runner-up in the girls 11-12 age division after a round of 84. Rileigh Baker of Weston took home the girls 13-18 age division with a round of 78. Cooper City native Kelly Buker finished runner-up in the girls 13-18 age division in after a round of 86. The South Florida PGA Junior Prep Tour is proudly presented by The Honda Classic and supported by Don Law Golf Academy, Palm Beach County Sports Commission, Titleist, The Oasis Championship, Precision Pro Golf, Pukka, and The Men’s Fun Group at Mirasol.